Jill teaches Meta-Time Tools™ to ambitious people who want to get on the right track and go further than they thought possible. 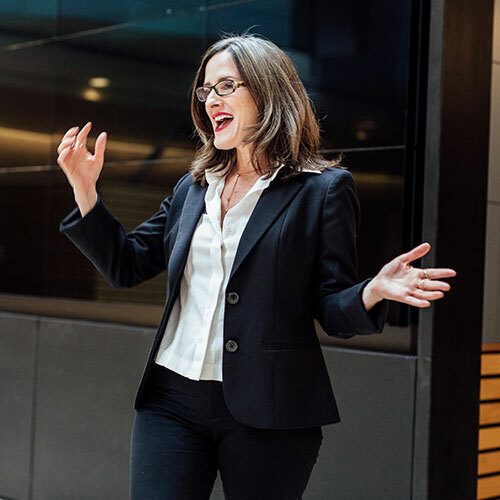 For the past 15 years, Jill has been inventing and teaching entrepreneurs performance solutions that are founded on the best of recent leadership, business, behavioral, and neuroscience research. Jill has decided to share what she has learned in twenty years in leadership and team development by creating BOOM-U, a Success Skills Academy. BOOM-U will offer programs specifically designed for people who want to achieve dramatically more by following the structure that is often used to bring out the best in leaders. Jill’s experience as a world-class restaurateur and business consultant combined with her knowledge of neuroscience and behavioral science sets her apart. She has been called a science translator; Jill invents high-powered tools that are easy to apply, with high ROI. Jill holds a Masters in Leadership from Royal Roads University and certifications in Executive Coaching, Team Coaching, Communication, TILT Personality Assessment Tool, and Change Leadership. Build a Heck Yeah Life is a talk for ambitious individuals who want to look back on their lives and say “heck yeah!” Many spend our lives searching for that thing that will give our life meaning. The small majority find it. A car accident in Jill’s 40s led to a total life reset and a quest to finding her ‘thing’. One of her discoveries? A reason ‘our things’ are so hard to find is that we don’t know what we’re looking for, so we don’t know how to identify them when found. In this talk, participants learn why their purpose has been so hard to pinpoint, how approach finding theirs, and most importantly, what to do with it once it’s found. They will leave with a clear plan for how to build a life that will make them look back and say “heck yeah”! Build a Heck Yeah Business is a talk for ambitious businesses owners who want to learn a systematic approach to building a best-in-class business. Every business owner wants a systemized business that is a dream to run— or at least they should — because a systemized business is necessary for doing an awesome job today, and it’s Ground Zero for effective innovating to make sure you can stay current tomorrow. But here’s the thing, your systems don’t have lasting power unless your company also has a clear purpose, vision, strategy, and structure. In this talk, you will learn the phases of building a business, and how to build a systemized, exciting business that will make you look back and say “heck yeah”!